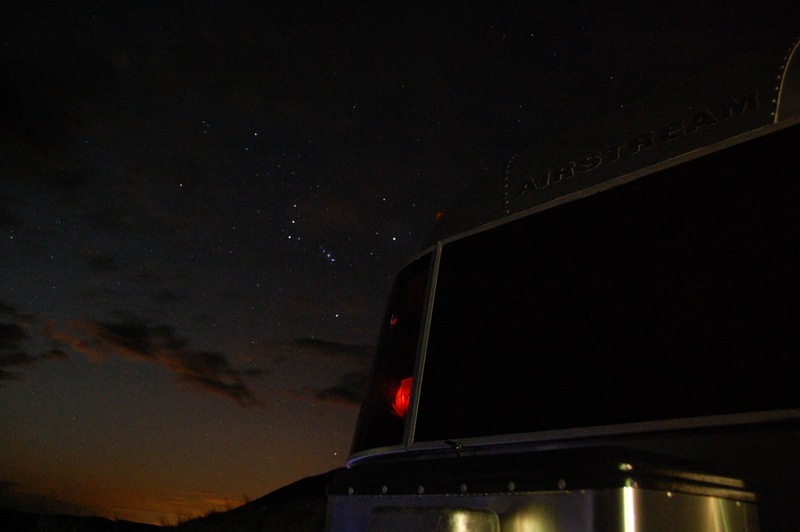 Bert Gildart’s beautiful photography and stories have graced most issues of Airstream Life magazine ever since his first article, “Montana’s Crow Country – Airstreaming Through Native American History,” appeared in the Summer 2004 issue. 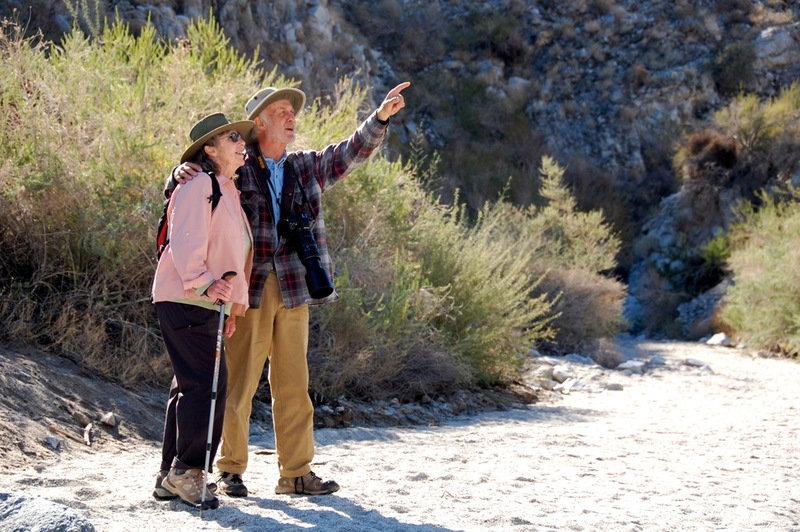 Bert and his wife Janie love to hike, so I had fun taking them on their first hike on the stunning Moonlight Canyon Trail in Agua Caliente County Park in the Anza-Borrego Desert in Southern California when they visited us in December. 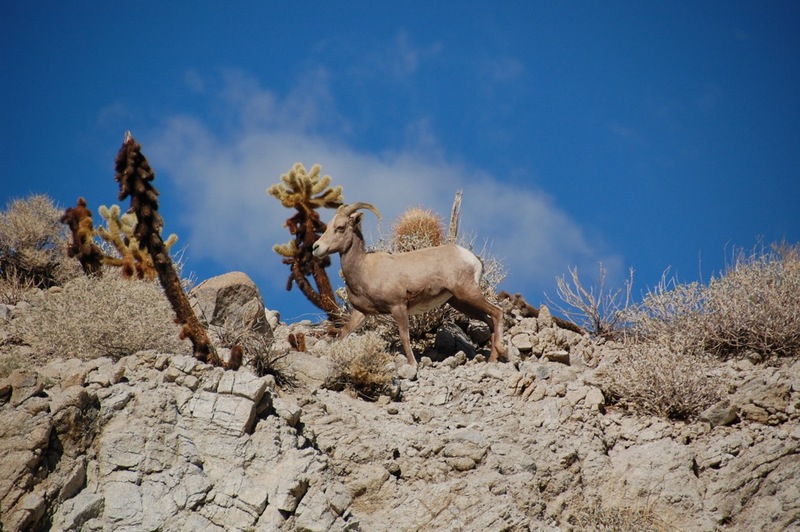 Our morning hike was spectacular, especially when we came upon five Bighorn Sheep grazing on a nearby ridge. Bert was so thrilled by the morning hike he asked to go out again after lunch for another chance encounter with the sheep and this time, take with him his tripod and strobes for a close-up photo shoot of blooming California Fuchsia. 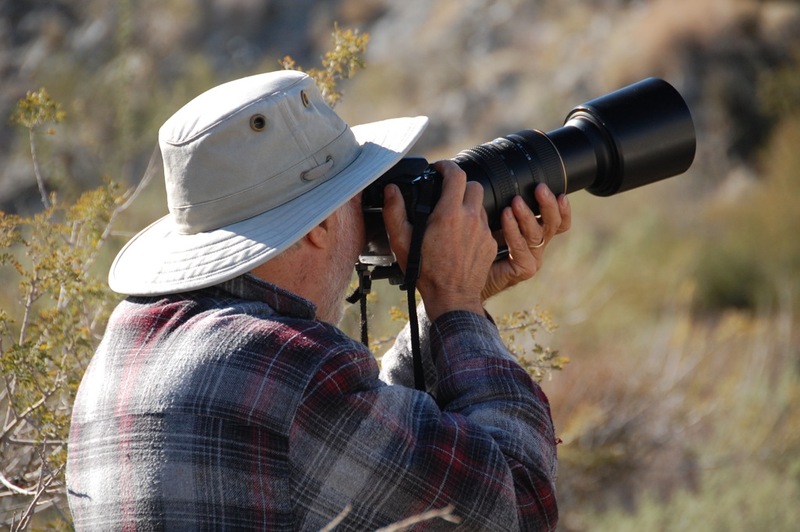 I’ve accompanied Bert before on photography hikes, such as up Ghost Mountain on a previous New Year’s Day, and it is always a treat to see this professional photographer do his artistic work. 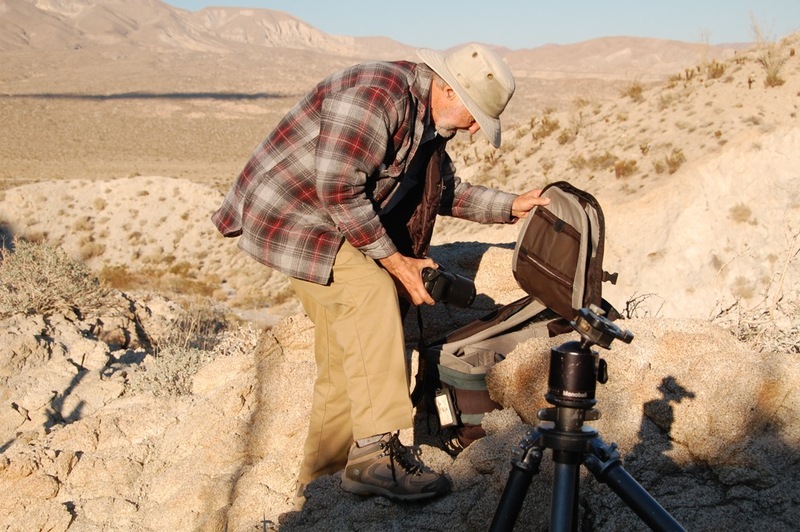 He brought along his bag of tricks, including lenses and strobes, and his heavy-duty tripod. 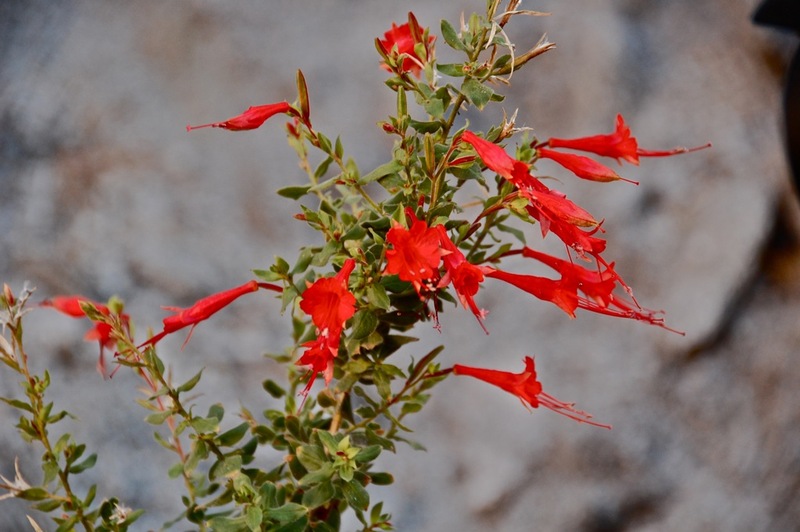 We returned to the California Fuchsia that we had seen earlier in the day and I took a picture of it (seen below) as Bert set up his equipment. First Bert attached a 105mm macro lens to his Nikon D7000 camera and adjusted the tripod’s legs to accommodate the steeply angled rocky trail edge and focused on the flowers. 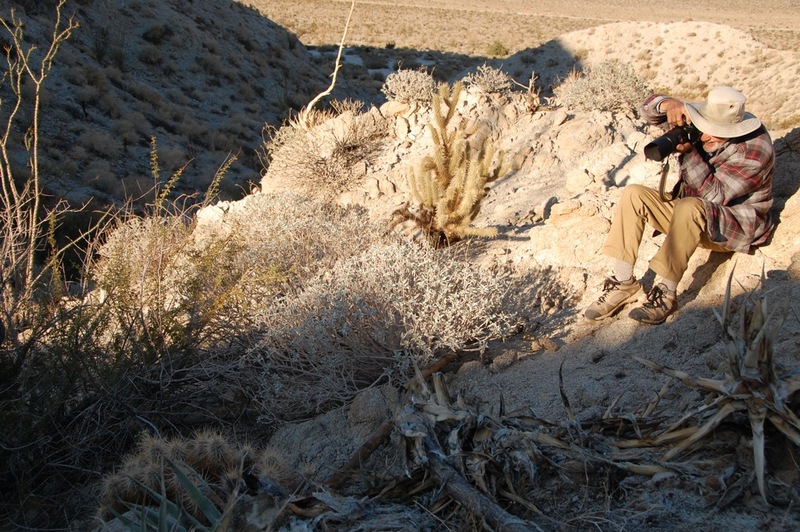 We then returned to the ridge where we had seen Bighorn Sheep earlier in the day, but none were within sight. As we gazed upward, we both slowly turned, smiling at each other with the same thought. Maybe the sheep were just on the other side of the ridge. Yes, we thought, and scrambled up the loose granite side of the ridge like young boys on a treasure hunt. We got to the top and Bert went on to a higher ridge nearby, but did not see sheep. 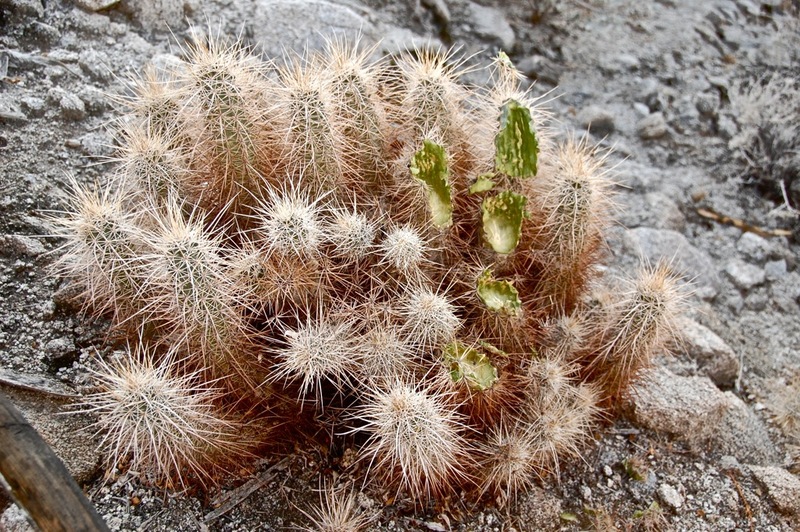 I motioned for him to come over and see Hedgehog Cactus that had been eaten earlier that morning by the Bighorn Sheep. We could have enjoyed lingering on that ridge longer, but the sun began to set, and Janie and Larry were waiting for us back in camp. We returned with warm memories of this glorious day, which continue to sustain us as we look forward to that next hike, adventure and photo shoot in this wonderful world as we greet the New Year and the return of the sun. There were rainbows over San Diego and snow fell on the Laguna Mountains, but the Anza-Borrego desert night sky was filled with stars the night before Bert and Janie drove down from their winter camping spot at Pegleg Smith Monument to visit us at Agua Caliente County Park in Southern California. 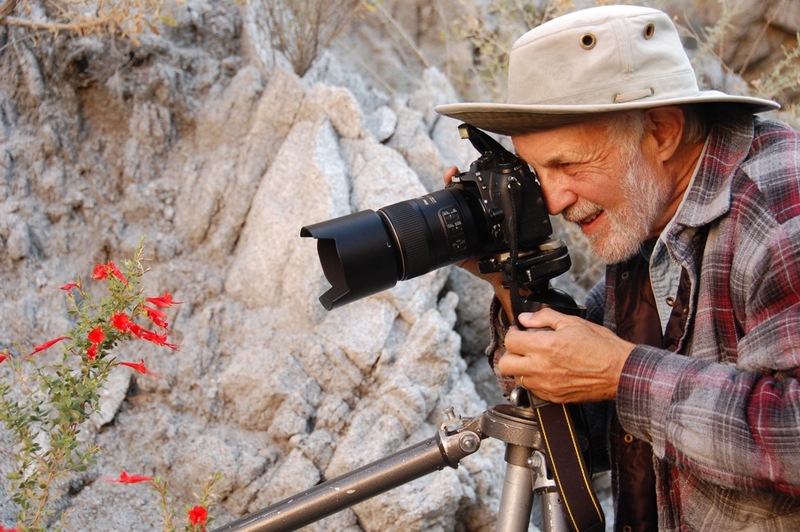 Writer/photographer/Airstreamer Bert Gildart and his wife Janie are from Montana and have produced a number of guide and nature books such as Bighorn Sheep: Mountain Monarchs. 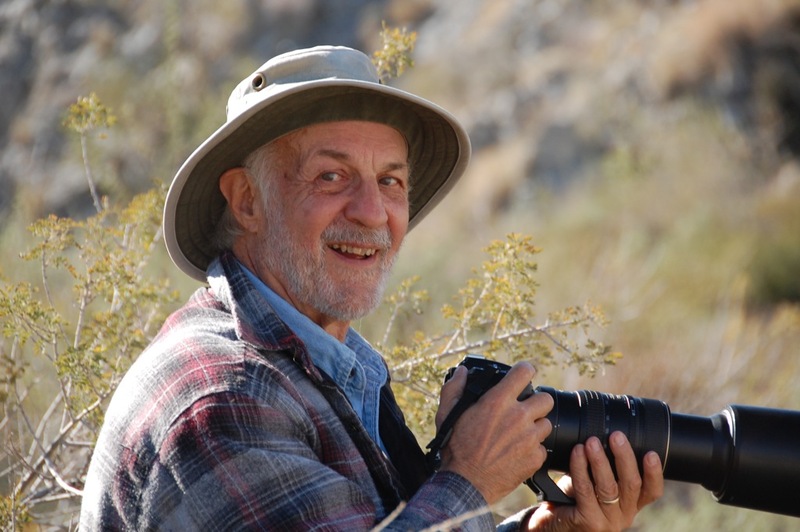 His beautiful articles are seen in most issues of Airstream Life magazine. 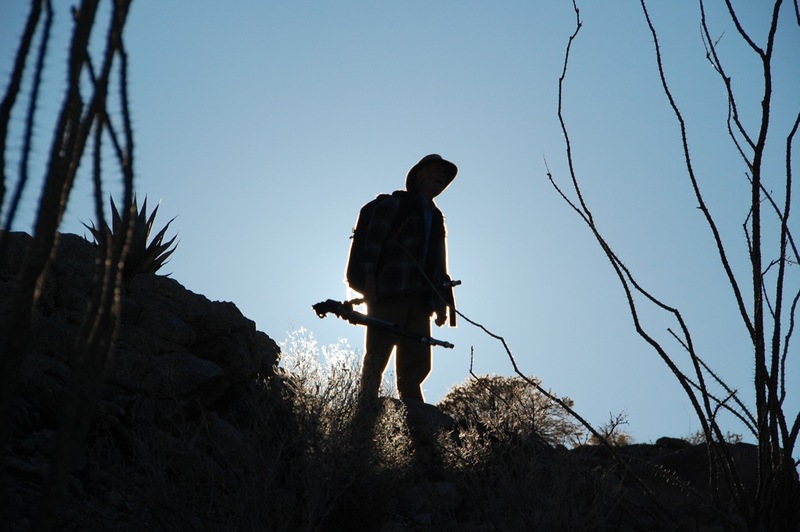 Our last hike together was New Year’s Day 2010 for an evening photo shoot of Marshal South’s home, Yaquitepec, on Ghost Mountain. 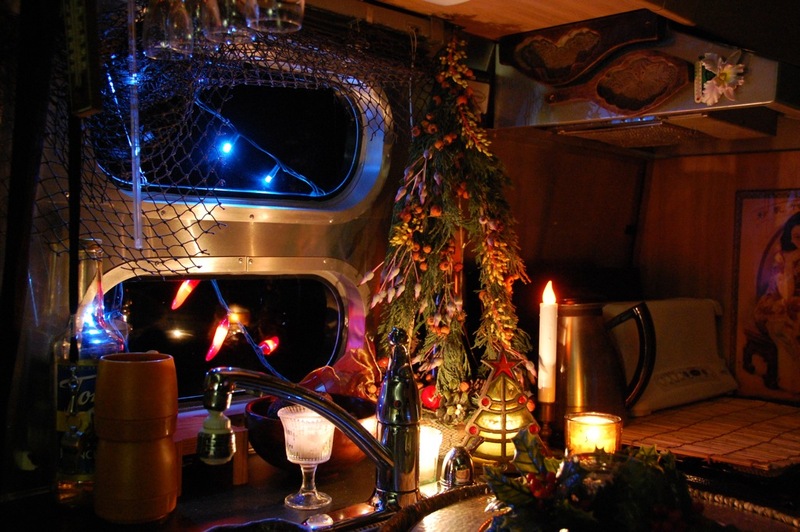 The nights were chilly but our Safari Airstream trailer was warm and cozy inside and festively decorated for the holidays. Before we left San Diego, Larry had made a Christmas tree (in the style of ones seen in Pennsylvanian German settlements in 1747) for Bert and Janie using materials from our garden, including Juniper, Rose hips, and Bromeliad bloom spikes. It was a glorious sunny morning when Bert and Janie arrived with good cheer, smiles, and a large bottle of California Chardonnay wine. We happily chatted as Larry served hot cider, homemade panettone and carrot-raisin oatmeal cookies. This is Bert and Janie’s first time here, so I had fun introducing them to the park, the Marshal South connection and its beautiful hiking trails. 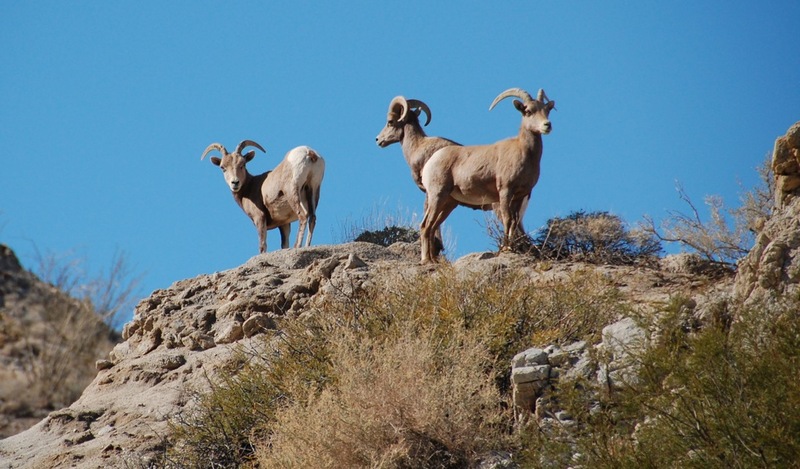 They joined me on a late morning hike on Moonlight Canyon Trail, where I photographed Peninsular Bighorn sheep last January. A third of the way into the hike, Bert pointed up and smiled. 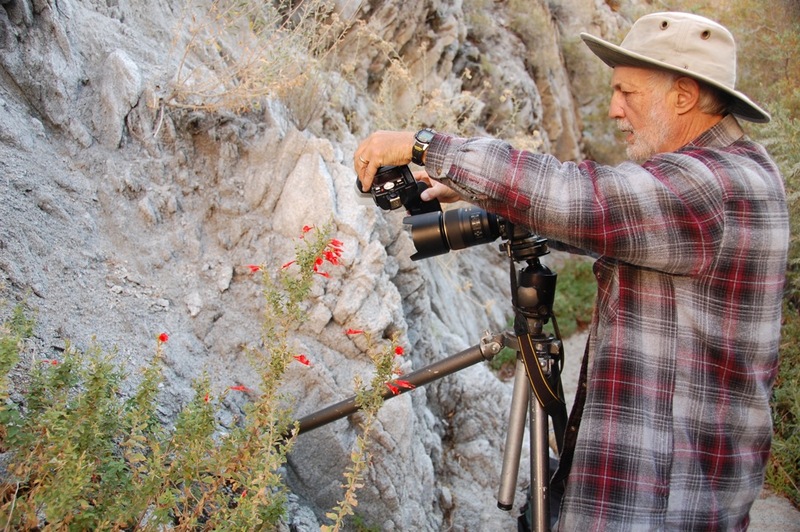 We spent the next 30 minutes at this spot photographing 5 Bighorn sheep that were grazing on the nearby ridge. Seeing these mountain monarchs this close is like finding gold. Perhaps Janie helped our fortune by recently adding 10 rocks to the Pegleg Smith Monument, honoring the legend of Pegleg Smith’s lost gold. Bert turned to me with an expression of true joy. After a two-hour hike, we returned to camp and enjoyed Larry’s homemade Cajun pork stew while conversing over myriad subjects of interest. At a certain point, Bert got up to stretch and whispered to me with a boyish smile, “Do you think we could go back out on that trail… I could bring my bigger lenses and strobe light equipment and photograph the California Fuchsia we saw… and maybe the Bighorn sheep might still be there!” So Bert and I took off like a couple of school kids on vacation. I saw and photographed more of Bert’s photographic artistry, which will be seen in an upcoming post. We returned just as the sun went down behind our nearby mountain ridge, quickly bringing cooler temperatures. 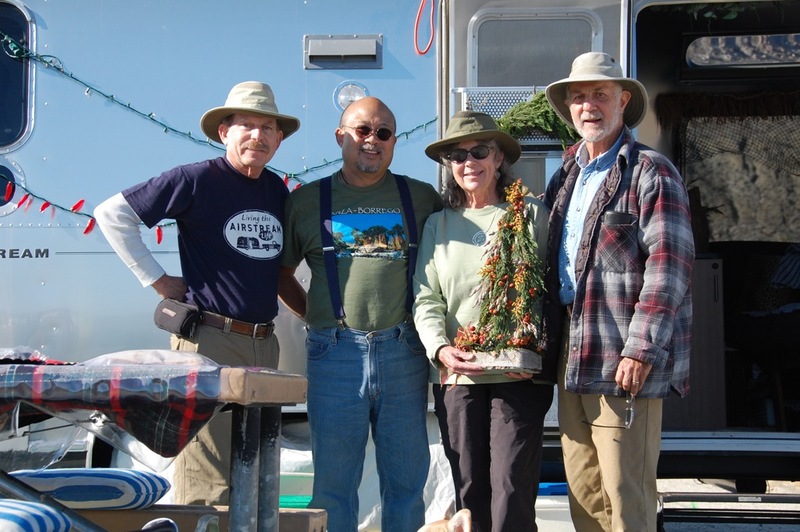 We thanked Bert and Janie for their good cheer, insight, company, genuine warmth and understanding… especially as we approached the shortest and darkest day of the year, winter solstice… and for helping us drive the cold winter away.